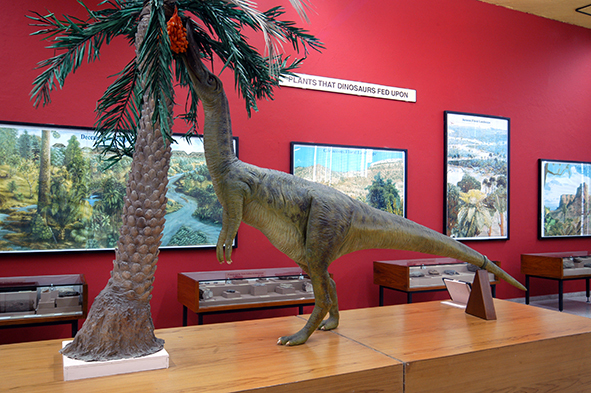 This section is devoted to the display of dinosaurian material from India. 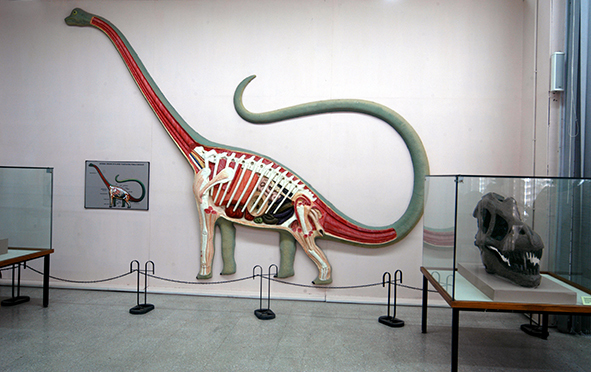 First discovered in 1828 by Captain William Sleeman, near Jabalpur cantonment, dinosaur forms an important part of India’s rich fossils heritage. 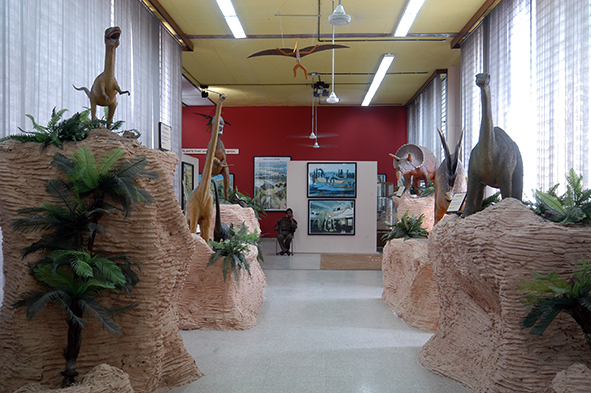 The exhibition highlights several important aspects of Indian dinosaurs including; the types of dinosaur found in India, the distribution and location of fossils site, the environment in which they lived, their diet especially the plants they fed upon, their nesting behaviour, the animals and plants that lived along with them and their sudden extinction along with that of several other organisms about 65 million years ago.